Please phone or email to discuss! If your goal is to rapidly grow your practice and become the leaders in your area, our exclusive premium marketing service is exactly what you need. Our 100% success rate has allowed us to offer you a double your money guarantee. Select this option below to check your eligibility and find out more about this exclusive service. I have signed my legal signature to the best of my abilities in the space below. Click here to finalise your details! These Terms and Conditions (as amended from time to time, this “Agreement”) is between Edge Marketing Solutions Pty Ltd (collectively, “Company,” “we,” “our,” or “us”) and the purchaser identified on the applicable order form (“Customer,” “you", “your” and, such order form, the “Order Form”) and governs Customer’s use of the Services (as defined below). PLEASE READ THIS AGREEMENT CAREFULLY BEFORE USING OUR SERVICES AND ASSOCIATED SOFTWARE, INCLUDING, WITHOUT LIMITATION, ALL CONTENT SUCH AS TEXT, INFORMATION, IMAGES, APPLICATIONS, TEMPLATES, SOFTWARE, FEATURES, UPDATES, AND OTHER INFORMATION, SERVICES AND MATERIALS (COLLECTIVELY, THE “SERVICES”). BY ACCESSING OR USING ALL OR ANY PORTION OF THE SERVICES, CUSTOMER ACKNOWLEDGES ITS ACCEPTANCE OF THIS AGREEMENT AND REPRESENTS THAT CUSTOMER IS AUTHORIZED TO ENTER INTO THIS AGREEMENT ON BEHALF OF ITSELF AND/OR ITS ORGANIZATION. IF CUSTOMER DOES NOT AGREE TO THE TERMS OF THIS AGREEMENT, CUSTOMER IS NOT PERMITTED TO USE THE SERVICES, AND CUSTOMER MUST CEASE USE OF AND ACCESS TO THE SERVICES IMMEDIATELY. "Agreement" means this written agreement Between "Company" and "Customer". 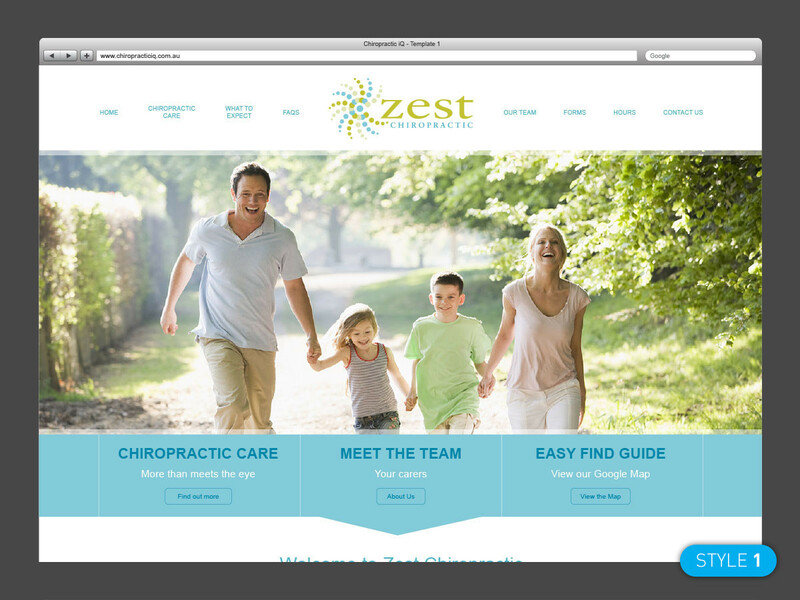 “CMS” means Content Management System, a dashboard "Customer" can access for "Customer's" Chiropractic iQ website to edit designated text content and images in "Customer's" website. “CSS” means Cascading Style Sheets, a means of building a website for presenting on the internet. “Dashboard” means the website management console "Customer" access to edit certain areas of "Customer's" website content including text and images. "Domain Name" is the alphanumeric name associated with "Customer's" website, web pages or electronic mail. "Email" means any communication transmitted via the Internet which is stored in the recipient's e-mail box. "Hosting" or "Web Host" means storing "Customer's" website on an Internet server computer, receives or stores commands or data transmitted by Internet users, transmits Web Page data to users' Internet addresses, and performs related maintenance. "Hour" means one hour spent by one developer. "HTML Code" means hypertext mark-up language, which is the language commonly used for developing the appearance of Web Sites. Trade secrets, moral rights and goodwill. "Internet" means the global computer network comprising interconnected networks using standard Protocols. “Pay per Click” PPC means the payment for each individual web user who clicks on a predetermined search term via the ‘Google Adwords’ System. “Search Engine Optimisation” (SEO) refers to the process of applying industry-recommended methods following 'white hat' principles for the purposes of improving credibility and relevance with the search engines. “Setup” means the process of preparing the all elements of "Customer's" website prior to the final approval to take ‘live’ or launch "Customer's" website on the World Wide Web for people to view "Customer's" website. “Setup Fee” means the payment for preparing the all elements of "Customer's" website prior to the final approval to take ‘live’ or launch "Customer's" website on the World Wide Web for people to view "Customer's" website. “Subscription Fee” is defined as the remuneration payment made in advance on either a monthly or annual basis by "Customer" for the Chiropractic iQ website service defined in this agreement. "Web Page" means each individual screen display contained in a Website. 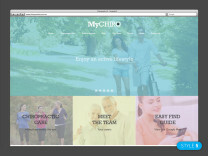 "Website" means all Web Pages and domain names associated with "Customer's" practice, and which are stored on Chiropractic iQ’s designated Internet server computer. "World Wide Web", or "WWW", is a subset of the Internet, and is a common system for browsing Internet Websites. All pricings listed are in Australian Dollars and exclusive of GST. Consult with "Customer" to define the agreed image for "Customer's" practice to be applied to "Customer's" website. A Design Brief Questionnaire shall be used to elicit the relevant information required to decide on the appropriate direction for the individual needs of "Customer's" practice to be communicated in "Customer's" website. Apply "Customer's" brand and image to the Chiropractic iQ Style "Customer" select from the website www.chiropracticiQ.com.au. This shall include, and is restricted to; the definition of "Customer's" colour palette, application of "Customer's" logo and a selection of images and messages for "Customer's" image rotator if applicable. Structural changes to the website style (ie; layout, functionality, alterations to menu) are considered ‘custom’ changes and will immediately incur additional costs at the hourly rate of $150/hr. "Company" agrees to provide up to 3 image library images for use in "Customer's" website’s image rotator (if applicable). Additional images are charged at $44 each. Alternatively, "Customer" may choose to provide "Customer's" own images. 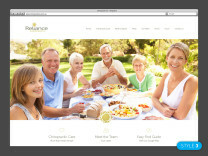 "Customer's" set up fee includes all the revisions and design development prior to "Customer's" website going 'live'. Any changes requested after this point will be billed at an hourly rate of $150/hr. "Customer" can choose to have a custom website package designed and constructed which will be confirmed in a formal price quotation prior to the commencement of any works. 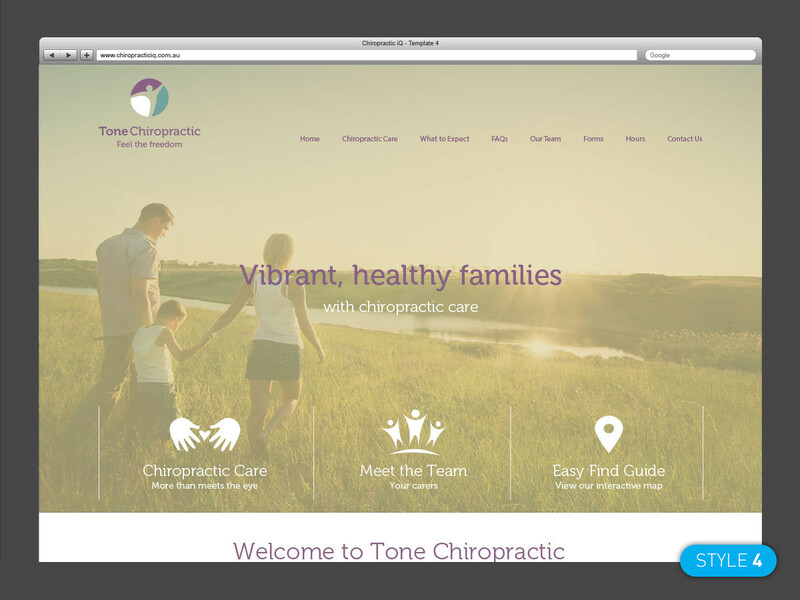 Pre-populate "Customer's" website with Chiropractic iQ content. This content will be customised to include "Customer's" business name, contact details and location. "Customer" will have the opportunity to adjust this content (eg. 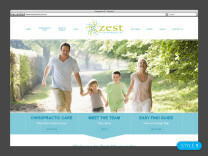 edit text, add images, links and staff profiles) once "Customer's" website is built via the CMS. "Company" takes no responsibility for the website’s content meeting regulatory guidelines. We strongly recommend that "Customer's" content is regularly reviewed and approved by "Customer's" governing industry bodies. Additional pages and/or content are charged at the hourly rate of $150/hr. All proposed changes shall be confirmed with a price indication prior to commencing any additional works. Provide links to Google maps on "Customer's" contacts page. Many practices choose to develop a new brand in alignment with their website development in order to truly give their business a facelift. "Customer" can enquire about our additional branding services at any time. If "Customer" already have a domain name registered, "Company" shall require the username and password of "Customer's" existing domain name registration in order to assist "Customer" in transferring "Customer's" domain name to our nominated server for hosting. In the event that "Customer" do not have a domain name registered "Company" shall deliver advice on appropriate domain names for "Customer" to choose from. Once instructed "Company" will register the selected domain name(s) for the fee of $140AUD /2 years per domain name for a .com, .com.au, .co.nz. designation. [Note – The domain name is "Customer's" property, "Company" simply manages it on "Customer's" behalf]. "Customer's" domain(s) name shall be set up on "Company's" nominated server hosting package and be maintained and managed on "Customer's" behalf. Backup "Customer's" database of website information on a regular basis. "Customer's" website will be constructed using best practice on page Search engine optimisation (SEO) website construction methodologies to ensure that the search engines view "Customer's" site favourably. [Note: If "Customer" wish to dominate "Customer's" market online, we recommend "Customer" undertake our guaranteed SEO campaign service. "Customer" can enquire about our additional SEO campaign services at any time]. "Company" has no control over the search engines such as Google and without an SEO campaign service in place we cannot offer a guarantee on their role in defining how "Customer's" website is ranked by search engines in general. "Company" cannot guarantee an immediate first page presence and recommends "Customer" undertake a Search Engine Marketing (SEM) and Search Engine Optimisation (SEO) campaign whilst "Customer's" natural ranking continues to grow and improve over time [Note: "Customer" can enquire about our additional digital marketing services at any time]. "Company" provides a ‘Support & Training’ page on their website which includes a series of video tutorials to guide "Customer" through how to navigate and utilise "Customer's" CMS to adjust "Customer's" website content. If "Customer" require further assistance, "Customer" may request a phone training session. Please note; phone training can be purchased in additional pre-paid hourly blocks of $150/hr. 3.1. PROVIDE THE REQUESTED INFORMATION to ensure that "Customer's" website is built in a timely manner. Supply "Customer's" logo, selection of images for rotator (optional), and domain registration details (if applicable) to facilitate the efficient propagation of the website. Note – "Customer" must have authority to use any materials supplied to "Company" on "Customer's" website. After returning this agreement, coordinate an appropriate time to speak with "Customer's" "Company" representative about the details of "Customer's" website design. On the signing of this agreement "Customer" authorise "Company" to receive the non refundable, set up fee and first monthly fee as per "Customer's" package selection. "Customer" further agree to continue the payment of the fee on the same day of the month for the minimum term of "Customer's" service agreement. On expiry of the initial term this Agreement shall continue in force on a monthly basis unless either "Customer" or Chiropractic iQ provides a minimum of 30 days written notice prior to the expiry of the existing Agreement. Credit card payments have a 2% surcharge. "Customer" is responsible for all activity occurring under "Customer’s" account(s) and shall abide by all applicable local, state, national, and foreign laws, treaties, and regulations in connection with "Customer’s" use of the Services, including those related to privacy, data protection, international communications, and the transmission of technical or personal data, including but not limited to the Health Insurance Portability and Accountability Act, the Health Information Technology for Economic and Clinical Health Act (collectively referred to herein as “HIPAA”), the General Data Protection Regulation (EU) 2016/679 (the “GDPR”) and the ePrivacy Directive 2002/58/EC (the “ePrivacy Directive”) as implemented by countries within the European Economic Area, and the Canadian Personal Information Protection and Electronic Documents Act (“PIPEDA”). "Customer" shall ensure that any international transfer of personal data is in compliance with all applicable laws and regulations, including but not limited to the GDPR and PIPEDA. "Customer" shall: (i) notify "Company" immediately of any known or suspected breach of security; (ii) immediately report to "Company" and use reasonable efforts to immediately stop any copying or distribution of content that is known or suspected by "Customer" or others to violate this Agreement or the intellectual property rights of third parties; and (iii) not impersonate another user or provide false identity information to gain access to or use the Services. "Customer" is solely responsible for affording individuals their rights under applicable privacy, security, and data protection law, rule, and regulations. "Customer" agree that all information and content provided by "Company" is the copyright of the owners of "Company". "Customer" are not permitted to develop derivations of any information of copyrighted content for use in any media other than "Customer's" "Company" approved website without written approval of "Company". "Customer's" use of the Chiropractic iQ system affords "Customer" access to many of the features of our system, but some aspects of our system remain within our exclusive proprietary control. We or our suppliers own the intellectual property rights to any and all protectable components of our system, including but not limited to the computer software, the related documentation, the end-user interfaces, the name of our system, many of the individual features, and the collective works consisting of sequences of all public messages on our system. "Customer" may not reproduce any sequence of messages from our system, either electronically or in print, without our permission. In addition; "Customer" may not copy, modify, adapt, reproduce, translate, distribute, reverse engineer, decompile or dissemble any aspect of the system that we, or our suppliers own. All communication / information provided by "Customer" to "Company" is considered confidential and will not be passed on to other parties without "Customer's" consent. "Customer" acknowledge that "Customer" have examined and checked in its entirety the content of the Chiropractic iQ website style selected. "Customer" agree to the execution of all content and marketing principles as applied. "Customer" further agree to assume all responsibility for any consequences that may occur as a result of the content, recommendations, ideas, claims and errors or omissions that are provided and contained within the original and consequent inclusions. "Customer" acknowledge and agree that "Company" shall not be responsible for such consequences as a direct or indirect result of any error of due diligence on "Customer's" part. "Customer" warrant that "Company" is authorised to use "Customer's" website design, branding and other marketing collateral and results for the purpose of promoting "Company" and its affiliated businesses. 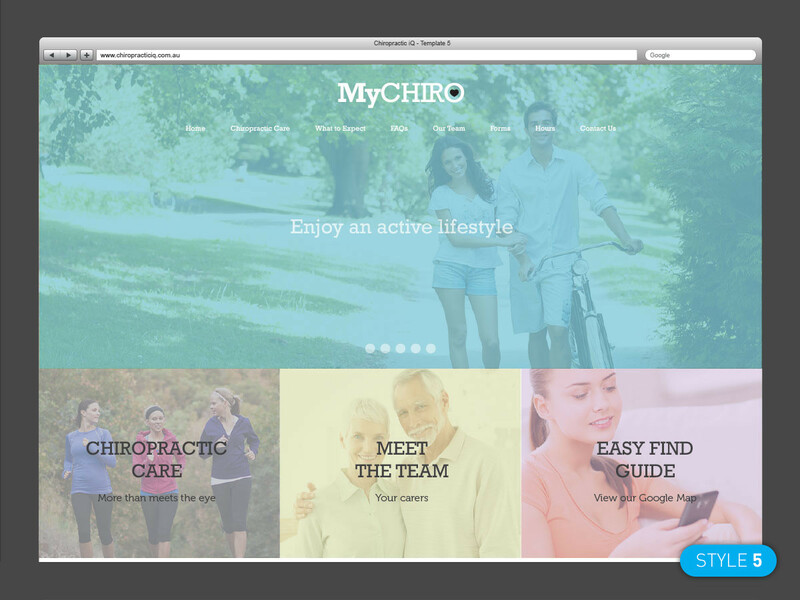 "Customer" authorise "Company" to present its business name, logo and hyperlinks to www.chiropracticiQ.com.au in the footer of "Customer's" website. 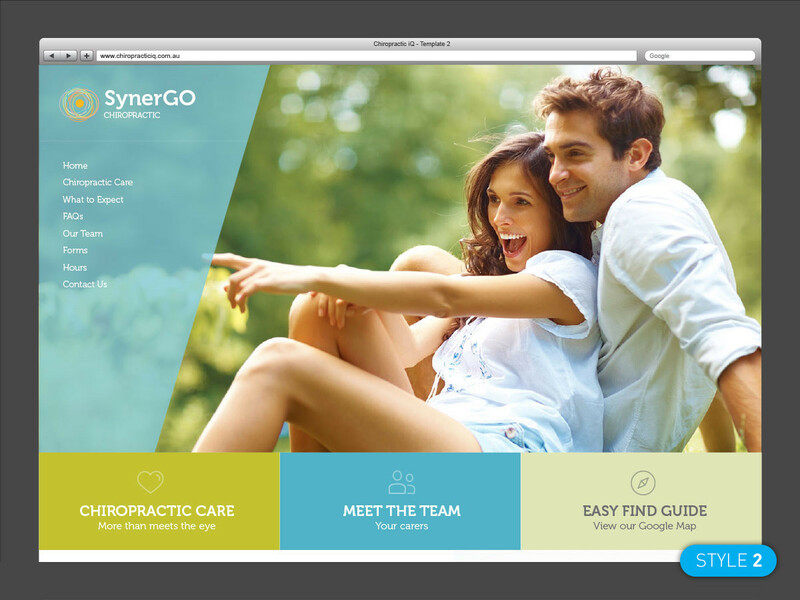 "Company" reserves the right to implement changes to the Chiropractic iQ website model and to the terms of this agreement provided that "Company" delivers notice to "Customer" in writing 30 days prior to the end of this Agreement. "Customer" shall defend and indemnify "Company" and hold "Company" harmless from and against any and all claims, proceedings, damages, injuries, liabilities, losses, costs and expenses (including reasonable attorneys' fees), relating to any acts by "Customer" or materials or information transmitted by "Customer" in connection with"Company's" system, leading wholly or partially to claims against "Company" or "Company's" system by other subscribers or third parties, regardless of the type of claim or the nature of the cause of action. "Customer" must bear the risk of any liability relating to "Customer's" use of our system. "Customer's" use of the online system is entirely at "Customer's" sole risk. "Company" will not be responsible to "Customer" or any third parties for any direct or indirect, consequential, special or punitive damages or losses "Customer" may incur in connection with our system, "Customer's" use thereof or any of the data or other materials transmitted through or residing on our system, regardless of the type of claim or the nature of the cause of action, even if we have been advised of the possibility of such damage or loss. In the event of a service interruption arising from a natural disaster, act of terrorism, war, and other major events that are clearly outside a party's control or unforeseen internet service interruption beyond the control of "Company", neither "Company" nor "Customer" will be held liable for the failure to comply with this Agreement. Neither party shall be liable in damages or have the right to terminate this Agreement for any delay or default in performing hereunder if such delay or default is caused by conditions beyond its control including, but not limited to Acts of God, Government restrictions (including the denial or cancellation of any export or other necessary licence), wars, insurrections and/or any other cause beyond the reasonable control of the party whose performance is affected. "Customer" agree that this Agreement shall for all purposes be governed by and construed in accordance with the laws of the State, and that any action arising out of this Agreement shall be litigated and enforced under the laws of the State. In addition, "Customer" agree to submit to the jurisdiction of the courts of the State, and that any legal action pursued by "Customer" shall be within the exclusive jurisdiction of the courts of the State. Guarantee only available to ‘iQ Accelerator’ practices who undertake our marketing strategy recommendations unique to "Customer's" practice. Guarantee only available to two practices per competitive location (i.e. per suburb). Individual practice return on investment will initially be calculated after 4 months (16 weeks) of website going live and may be reassessed by the client in any calendar month thereafter. Patient visit average = 25 visits (over lifetime). New patient fee average = $100. Subsequent patient fee average = $50. Average lifetime value of a patient = $1,300. Number of patient conversions = number of visits to 'Contact Us' page of website in given month (based on individual client's Google Analytics monthly report). MONTHLY RETURN ON INVESTMENT = Number of patient conversions x average lifetime value of a patient. Average patient visit numbers and fees will not be negotiated or tailored for individual practices. Monthly subscription fee will be completely waived in any month (from fourth month of 'live' website service onwards) if, as per the above equation, the client finds that their MONTHLY MARKETING RETURN ON INVESTMENT calculations as stated above was not at least double the amount of their total monthly fee.